Join us every month to acquire a new culinary skill to add to your repertoire. A modern take on a cooking class, we will be perfecting classic dishes, sharing insider chef tips & more, in an interactive cooking workshop at the Chef’s Studio! 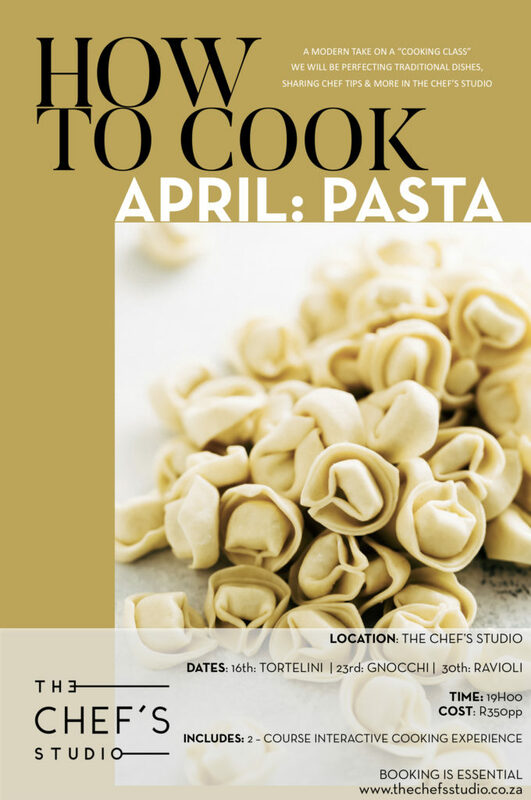 In April we present 'Pasta Month', where we will show you how to perfect the building blocks of Italian cooking! With the focus on pasta-making, you’ll learn everything – from mixing, prepping and kneading the dough, to refining your pasta-cooking techniques. This one is a can’t-miss for all carb-lovers! Each class includes a two-course dinner and comprehensive cooking lesson – where you’ll leave with a new skill each week! Bookings are required via our Dineplan Calendar.